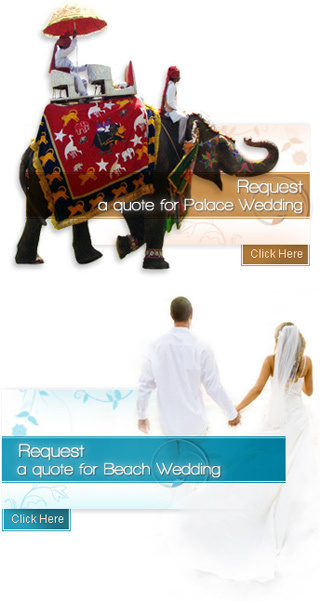 Indian marriages have always been symbolical of grandeur and majestic way of celebration. From the time of the engagement to the actual day of wedding, everything is performed in a manner that is totally unique from other weddings all across the world. Indian wedding procedures are performed in the bride's home including all the traditional rituals and rites along with the chanting of mantras. It becomes eminent for the groom to go to the bride's place for all this convention in which he has major role to play. Indian grooms generally enter the bride's place in pomp and splendour. Friends and relatives accompany him on foot as they make headway to the bride's place with music being played aloud. In fact, grooms comes and rides on a horse or an elephant from which they alight when they were about to reach and enter the gate of the bride's home or wedding venue. Customarily, musicians play drums and other instrument as the groom and his party are about to enter the marriage place. Except for the groom, his friends and relatives would dance and make merry while they are on their day. These days' popular Bollywood songs are played while others dance to the tune and the rhythm of the beat.